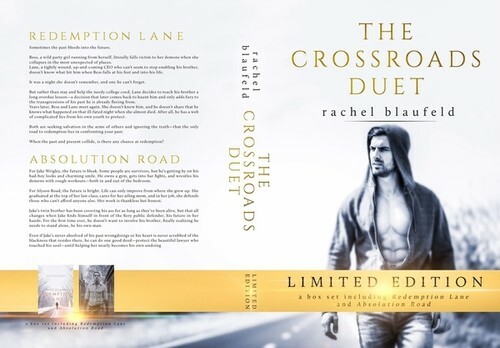 Rachel Blaufeld is a bestselling author of Romantic Suspense, New Adult, Coming-of-Age Women’s Fiction & Romance, and Sports Romance. Originally a social worker, Rachel creates broken yet redeeming characters. She’s been known to turn up the angst like cranking up the heat in the dead of winter. 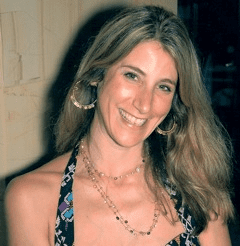 Blaufeld is also a long-time blogger and an advocate of woman-run anything and is fearless about sharing her opinion. She captured the ears of stay-at-home and working moms on her blog, BacknGrooveMom, chronicling her adventures in parenting tweens and running a business, often at the same time. 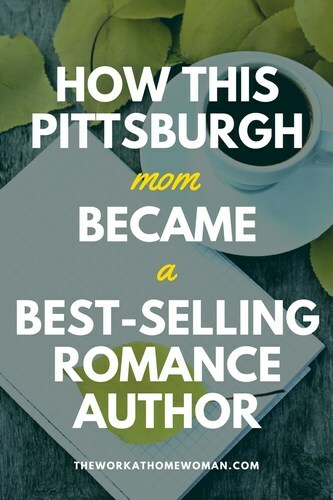 Tell us a little bit about yourself, and your journey to becoming a best-selling romance author. In October 2010, I decided to pursue inventing a product. The idea had been in my head for some time, and I was ready to try to make it real. I began to blog about the process, and what started as a personal journal turned into an outpost on running a business and raising a family. Combining my degree in counseling, I created a platform for women and moms to discuss work/life/family balance, lifestyle tips, and fears and concerns on raising tweens. Titled Back’nGrooveMom, a big focus of mine was on entrepreneurial women. The rest is history. In April 2014, I published my first book, Electrified, a Romantic Suspense/Women’s Fiction Bestseller. I have a Master’s Degree in Clinical Social Work, so all of my character’s issues are born out of that. I’ve been a reader and writer for all my life. Redemption Lane is probably my favorite. A lot of emotion and pain went into writing this story. It’s a Coming of Age tale—not a gentle one—and for some reason, it continues to resonate with me. Vérité comes in second. A book aimed at dispelling social, gender, and racial stereotypes, this story still tugs at my heart. Honestly, each book has taken me a different amount of time. Sometimes, the stories come to me quickly; other times, they trickle out of my brain. I don’t write with a formula, so I must let the characters take their time and make their way out of my brain. Self-publishing fulfilled my need to run a business while creating content. I liked being able to control certain parts of the process, like cover design and marketing. Obviously, there was a goal in sight to one day become a hybrid-author, with a combination of trade and self-published titles. With a dedicated audience in place, the reality of that becomes clearer. How do you avoid income peaks and valleys in your writing business? Publishing, whether it be self or trade, is changing by the moment. It is challenging to forecast what readers will fall in love with, trends, and sales. Therefore, marketing is either my friend or my enemy. I’ve held on to a few freelance lifestyle opportunities to supplement my book sales, and I also keep my budget lean when sales are low. Marketing can be expensive with Facebook ads and other ad placements. I’ve learned to listen to readers, and try to rotate books in and out of Kindle Unlimited, offer sales, promotions, and signed paperbacks to keep the momentum going. Blog tours, blitzes, and handing out review copies are a large part of book marketing, but with so many blogs and books, their relevance is difficult to gauge. Sometimes, reviews get lost. Other times, they spark a fire. The best marketing is word-of-mouth. *If anyone figures out how to light that fire, let me know! What are some of the common hurdles for aspiring romance authors? Pressure to sell books at a reduced cost, Kindle Unlimited (which is like Netflix for books, but ebooks must remain exclusive to Amazon for 90 days), piracy and stealing, and flooding of the market are all huge obstacles. It takes a lot of money to produce a book and beyond that, time, sweat, and tears of the author. A few years ago, I hired a Virtual Assistant. This is my biggest luxury. I didn’t hire Nicole until I worked entirely on my own for five years. Nicole saves me time on emails, giveaways, newsletters, filing for copyright, website management, graphics, and review copy dispersal to name just a few things. She works for a few authors, which allows her to make it all work, and is a great resource to all of us authors. Otherwise, I’m a firm believer in work/life balance being an urban myth. Take, for example, I’m writing this interview at 6:04 p.m. when I should be making dinner, so it will be either late dinner or pizza. Thanks, Rachel for sharing your story! This is really inspiring. I don’t “count” my hours either, hoping not to get too caught up in numbers. For keeping track of my personal and business to do lists, I also color code, and have a to do app on my phone with lists called “Monday” “Tuesday” etc… Thanks for this article!